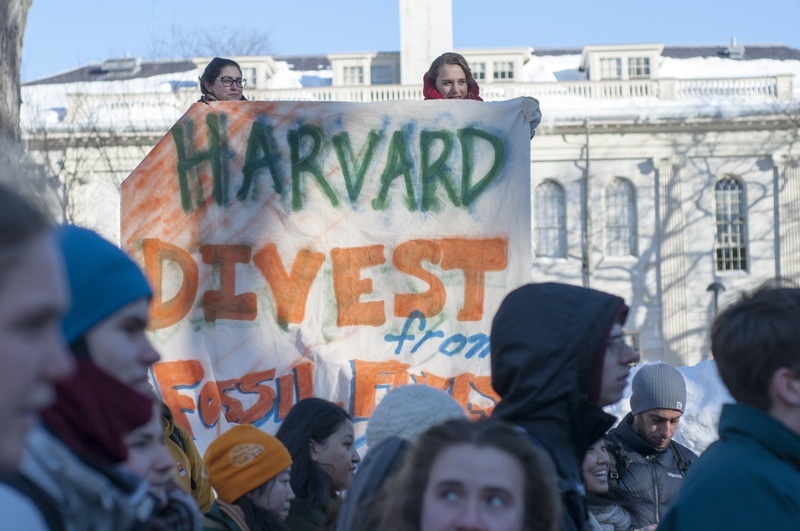 UPDATED: March 23, 2015, at 10:36 p.m.
A Massachusetts Superior Court judge dismissed a lawsuit filed by a group of Harvard students against the University late last year, which urged Harvard to divest from fossil fuel companies. 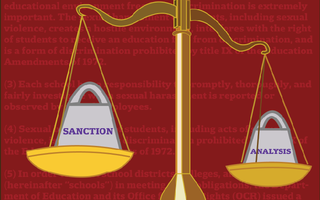 “Plaintiffs have brought their advocacy, fervent and articulate and admirable as it is, to a forum that cannot grant the relief they seek,” reads the memo, signed by Superior Court Justice Paul D. Wilson. The group plans to appeal the decision, according to Harvard Law School student Joseph “Ted” E. Hamilton, one of the plaintiffs. The lawsuit’s dismissal, dated March 17, comes after Harvard and the State Attorney General’s office filed motions to dismiss the case and then attended a hearing on the matter last month. Divest Harvard students rallied to mark Global Divestment Day outside Massachusetts Hall on Friday, Feb. 13, after members of the student group occupied the building the night before. In a decision dated March 17, a Massachusetts Superior Court judge dismissed a lawsuit against the University, which seven students from Divest Harvard filed late last year, urging the University to divest from fossil fuels. Wilson also took issue with the plaintiffs’ argument that Harvard’s continued investment in fossil fuels contributes to the “diminishment” of the group members’ education and has “a chilling effect on academic freedom,” as the group wrote in its original complaint. 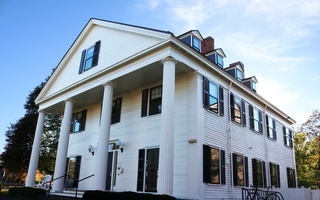 “The very existence of this lawsuit, filed by members of the Harvard community to stop Harvard from investing in fossil fuel companies, shows that Plaintiffs have failed to plead facts ‘plausibly suggesting’ that Harvard’s fossil fuel investments have had ‘a chilling effect on…the willingness of faculty, students, and administrators to publicly confront climate change,’” Wilson wrote. Wilson further cited what he saw as a lack of “limits on the subject matter and scope” of the lawsuit, which argues that climate change poses such a threat to “Future Generations” that the court must order Harvard to divest. Responding to the decision, Hamilton said he had expected the lawsuit might be dismissed because of its novelty, but he said the group still plans to appeal, a process that he expects may take months. The group will be looking to gather amici briefs from supporters during that time, he said. University spokesperson Jeff Neal wrote in an emailed statement that Harvard remains focused on addressing climate change through research initiatives. University President Drew G. Faust has many times said Harvard will not divest, arguing it can best address climate change through the research and work of its faculty and affiliates. “As the Court notes in its decision, Harvard has been, and continues to be, focused on supporting the research and teaching that will ultimately create the solutions to this challenge,” Neal wrote. 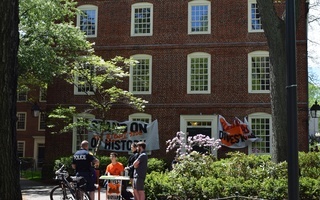 Despite Faust’s arguments against divestment, activists have organized this spring to protest Harvard’s decision not to divest from fossil fuels in other ways. 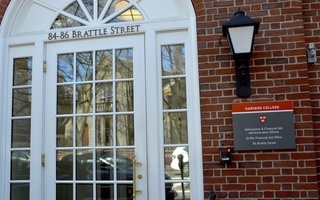 In February, members of Divest Harvard occupied Massachusetts Hall for roughly a day, and the group is planning to bring alumni to campus for a week-long protest in April.